Harry Kane is set for a scan on his ankle injury with fears he is facing a lengthy absence. 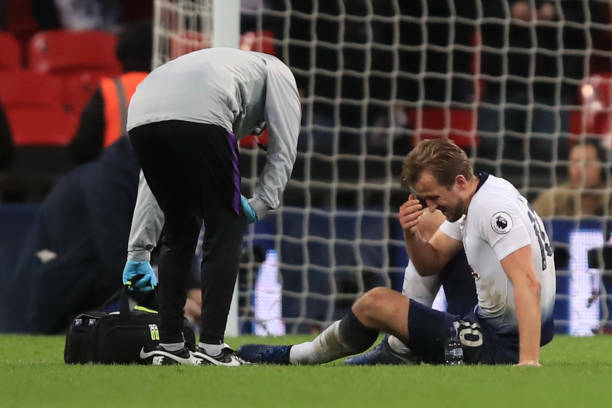 Tottenham striker Kane is worried he has suffered serious ankle ligament damage which could keep him out for up to four weeks to wreck Spurs' season. It comes with Tottenham facing a huge run of games in seven days which could make or break their season as they face Fulham next Sunday, the second leg of their Carabao Cup semi final at Chelsea and then the FA Cup tie at Crystal Palace. Kane’s ankle was still so badly swollen on Monday that the club could not do a scan on the damage and will not know the full extent until today at the earliest. However, they are desperately hoping their worst fears are not confirmed that it is a grade two sprain which would keep him out for at least a month.